How does it feel being nominated for nine Bafta awards and eight Oscars? It’s fantastic! We’ve got the Bafta and the Golden Globes and now we’ve got a very healthy clutch of Academy nominations. I’m thrilled that so many facets of making this film have been recognised and it’s a great tribute to the craftsmanship of the British film industry. I’m thrilled for Anne who gives a definitive performance in the film as Fantine. I Dreamed a Dream is a classic piece of film which will be seen in it’s own weight over the years. And, of course, without Hugh Jackman – his wonderful talent and his even more remarkable soul – we wouldn’t have a film because I can’t imagine anyone else playing the role of Jean Valjean on screen. Those are the two I’m rooting for! 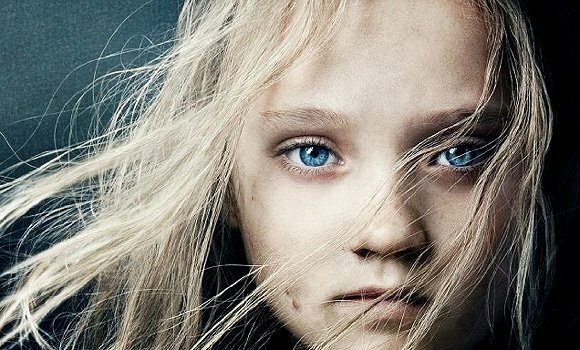 You’ve made several attempts over the last 25 years to turn Les Misérables into a film – did the cast you eventually chose make it worth the wait? Nearly everyone in this film was either not born or at school [when the musical first came out] and I don’t believe we would have found as extraordinary and talented a group of people as we’ve got in this film. Most of them were schooled in musical theatre so were totally right for the film as they were brought up to act stories through music which is what has made it seem so natural when you see the movie. In the first three weeks we’re seeing – at this stage – the highest grossing musical of all time. We’ve made this film at the right time with a brilliant director who’s inspired us all to remake the show as a film with a wonderful cast. Are you disappointed that Tom Hooper hasn’t received nominations for Best Director from Bafta or at the Oscars? Of course I’m disappointed for him because without his vision we couldn’t have made this film, but I’ve lived long enough in the theatre to know that what one thinks is right isn’t necessarily how things happen. Having had a lifetime of winning some and losing even more, I’ve become inured to strange choices and the fact is that politics always take place and Tom did win last time at the Academy Awards. But it was wonderful he did because I suspect if he hadn’t won, Working Title might not have risked him as this is only his third film. It was meant to happen – I’m a great believer in fate, as you can tell. Despite the disappointment for Tom, were you pleased to be recognised for sound by both the British and American Academies after making the decision to record the singing live? Absolutely – without Simon Hayes and the brilliant team of people who did all the re-mastering afterwards we could never have done this. It’s always been my dream for years that if we ever got the chance to make the film, it needed to be done live. But the technical requirements – never mind the innovative idea of doing a musical film – needed a director who absolutely was determined to do it that way and when I had my first meeting with Tom he was as passionate about doing it live as I was. It couldn’t have been done any other way because Les Misérables – unlike a normal musical – is done completely through music and how can you act two and a half hours of drama through musica before you’ve even met your fellow actors and started rehearsing? It would have been an impossibility and a shambles and I am so thrilled it has worked out well. If it wasn’t for all these brilliant people from the music side, we wouldn’t have had the ability to do it. Have you seen any of the other contenders up for nomination? I’ve seen James Bond, of course – my friend Barbara Broccoli has produced that wonderfully. How could I be upset if the wonderful James Bond beat us at the Baftas? Have you spoken to any of Les Misérables’ cast and crew since the nominations were announced? We’ve texted each other. We’ve all hit the congratulations button! You must be looking forward to treading the red carpet with them all again in LA? The only thing I’m looking forward to doing is having a holiday! I’ve gone around the world more than twice promoting Les Misérables and the last thing I want to do is think about showbusiness at the moment. Although I’ll be looking forward to rubbing the soles of my feet on the red carpet. And for a film virgin I’m very proud and surprised that my first venture as a film producer has got nominated by so many people. After such a successful first project are you planning on doing more film work, or have you been tempted back to the theatre? So no time to make that rumoured big screen adaptation of Miss Saigon? I think Miss Saigon is a wonderful cinematic piece and it would make a wonderful cinematic film. Who knows, maybe one day that will happen but at the moment I’m back to my day job.